We’ve been having trouble with rabbits, I think. I see them in the yard all the time. I think they’re eating the green beans. The leaves are gone. 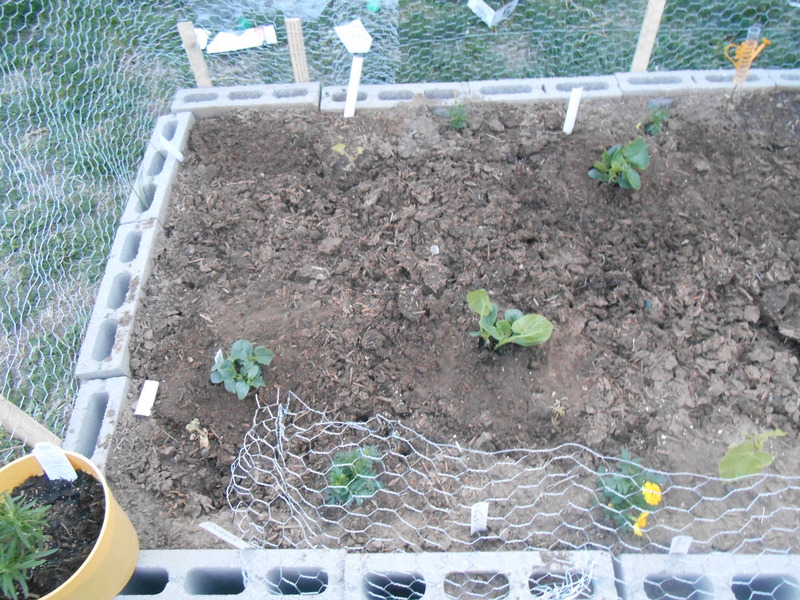 Also, there are little ones here that like to dig in the dirt and play with plants… So I bought some chicken wire. 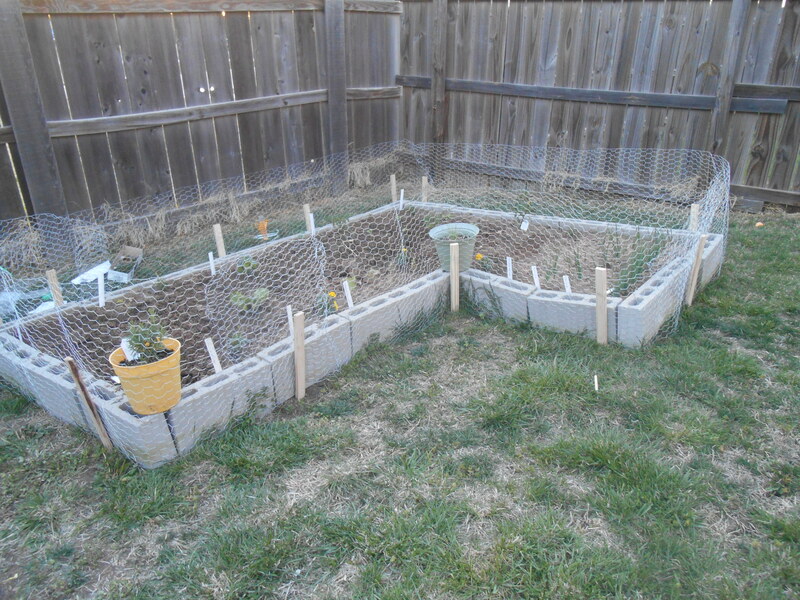 I thought that I’d put it inside the cinder blocks, and cut the chicken wire in half so I’d have enough for the whole garden. I, however, did not let my husband in on the plan (Oops). So he goes out there to do it and he’s like… “did you not measure?” I guess this is where communication issues come into place. 🙂 We talked about it and we decided to keep it on the outside of the cinder blocks. So my husband went to the store to buy some more chicken wire. And a couple zucchini plants and a cucumber plant magically appeared in the garden after that trip. 😉 Of the three zucchini plants that I planted, one has died and another might survive. But we really like zucchini and I don’t want to take any chances. I hope I don’t kill any more plants. 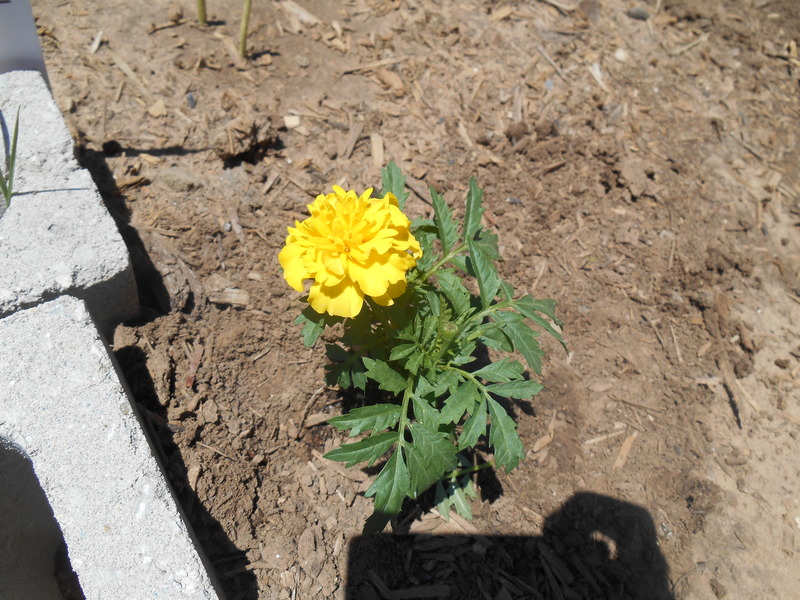 I bought some marigolds the other day because I read somewhere that they’re good for repelling pests. And hey, a little color wouldn’t hurt, right? 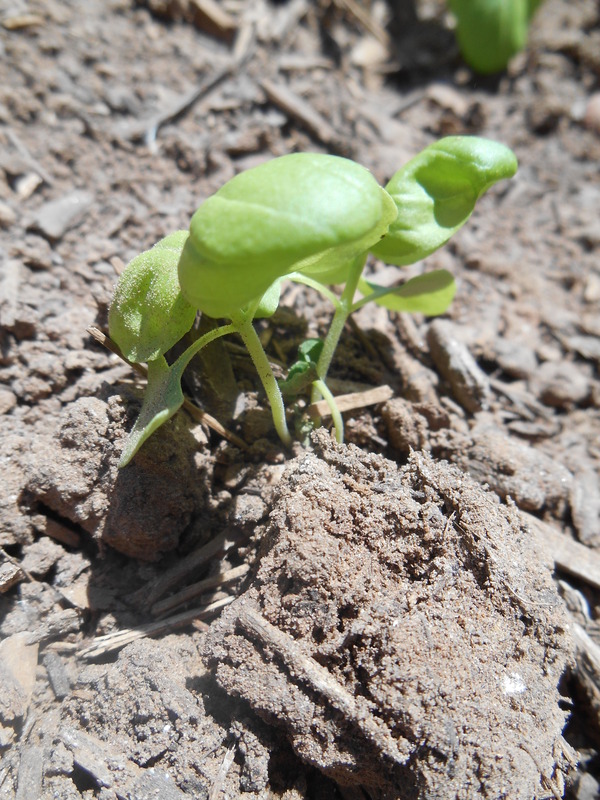 I had planted basil inside and I figured today was a good day to plant it outside. 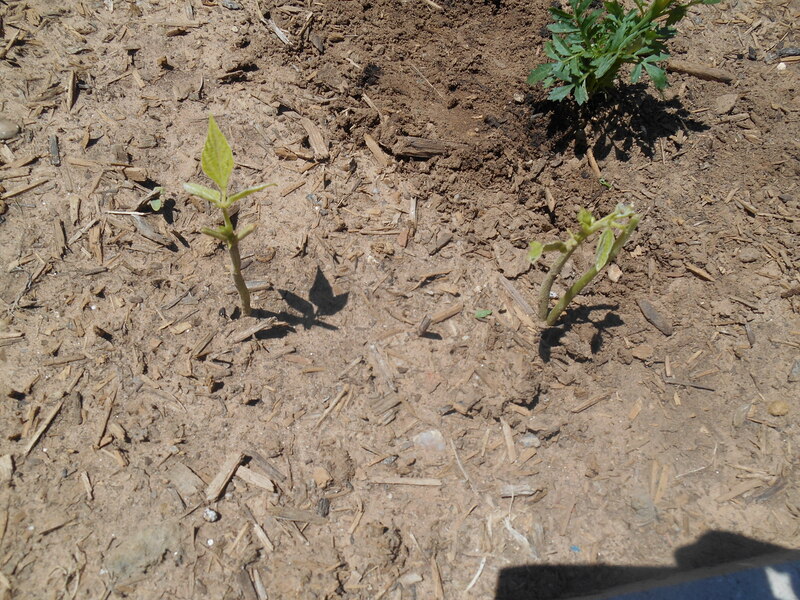 They now live beside the tomato plants. I hope all goes well from now on.